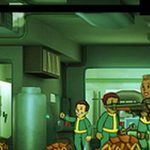 In the first part of our Fallout Shelter strategy guide, we discussed some general tips for running an effective vault and making good use of your dwellers. In case you missed that first part, we’ll give you the lowdown once again on this currently iOS-only game from Bethesda. The game, despite its retro, early-‘60s style themes, is actually more post-apocalyptic than anything else. You are, after all, in charge of a “state of the art underground vault” from Vault-Tec, and you’re in charge of giving your dwellers jobs, keeping them happy, and protecting them from the dangers of the outside world. And now we’re giving you more tips and tricks to help you survive the chaotic world of Fallout Shelter. We mentioned bottle caps a few times in our first batch of general tips – these are a form of currency in Fallout Shelter. And you can earn more of these by completing in-game achievements. You can also earn more lunchboxes by fulfilling these goals, and we must warn you that both are rather hard to come by. Lunchboxes, by the way, will allow you to unlock more powerful weapons and outfits, as well as more skilled dwellers. 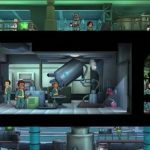 It is possible to rush production of any buildings in your vault that have dwellers inside. But in specific, you should rush production of structures that don’t have much risk of incidents taking place. You’ll be able to view incident percentages once you’re done rushing and completing production, and once you successfully rush production, you’ll earn more bottle caps. Failing, however, will result in a random crisis. Lunchboxes, as we said earlier, give you access to more powerful items and dwellers. But you don’t have to cash them in immediately. It would be best to use those lunchboxes when you’re in need of more bottle caps, more resources, or more dwellers. Your vault is essentially where life will be taking place in Fallout Shelter’s post-apocalyptic scenario, which means female dwellers definitely can give birth. 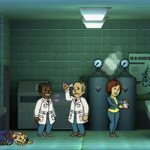 Dwellers will birth a baby in about three to four hours in real-world time, and while we’re not sure if the time lapse cheat (setting your device’s time forward) would work to speed up the process, we can tell you for sure that more babies means a faster-growing population for your vault. While it’s all well and good that female dwellers can give birth, you wouldn’t want too many of them pregnant, as pregnant dwellers wouldn’t be able to fend for themselves in the event of a disaster. Resource production should also be monitored closely, as a larger population means larger consumption. In that case, you may want to forgo the whole time lapse business (assuming it works) and focus instead on prepping your resources in the three to four hours it takes for a dweller to give birth. 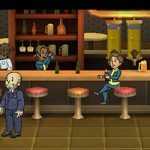 Do you need more tips and tricks on building the perfect vault in Fallout Shelter? If the answer is yes, then be sure to check out the third part of our strategy guide, which contains some more tips on this topic.